Igor Jurković and Raul Catinas had a spectacularly merciless fight at the Gripe venue in Split. For what was, at least in my opinion, the fight of the year so far, only a handful of spectators were present. I think that the reason for the dishearteningly empty stands wasn't the pricing of tickets, nor the short media campaign, because problems like that happen in absolutely every kickboxing promotion. The perennial issue in kickboxing is the attendance, promotion and building a scene similar to the MMA one. After all, kickboxing has been around for more than twenty years, hovering on the edge of mainstream, and, with the exception of the greatest K-1 moments, it was only on rare occasions that it stepped out from its niche. Glory currently spends millions on fighters and organization and holds events in front of half-empty stands. 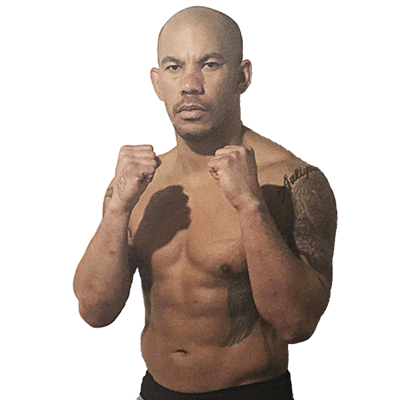 The "problems" with promotion lie in the character of the majority of kickboxing fighters. Very rarely one can see boxing or MMA personalities. Badr Hari is one of those, not because he sees fighting as business, but because he's simply that kind of a guy. Many kickboxers come from the school of Thai boxing and are raised in line with traditional martial arts values with emphasis on respecting the opponent. Whilst Wai Khru is not performed, that doesn't mean that moral values have been lost. For an audience used to the media treatment of any – no matter how meaningless – event as a spectacle, that is pretty boring, even though it's a violent sport. Two guys who'll do their job and not take the fight personally. 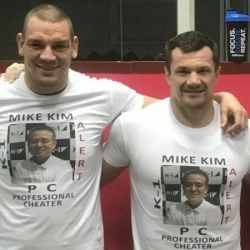 MMA initially built its image by creating an air of merciless life-or-death fighting and by this approach solely it attracted even those that are not interested in martial arts as such, because most of us are like that – when we hear that two guys are beating each other up, we have to see it. Maybe it's shallow, but that's how it is. In the darkest days, the scene was kept alive by the most loyal of fans and from them the sport has grown toward the mainstream. Glory has managed to pick up almost all of the best fighters in this sport overnight, but it hasn't reached any substantial audience overnight, be it through TV, pay-per-view or live attendance. Their London event must have cost a fortune, especially if one knows that Spong's or Bonjasky's fees are close to 100,000 euros per fight. The event in London, a city with a population of about ten million, with such stars as Tyrone Spong and Remy Bonjasky, attracted less than three thousand people, and a good part of that crowd got the tickets for free. Istanbul is even bigger than England's capital, and they had five thousand people there. In Tokyo, people started to leave the venue after Dream's part of the show and before Grand Slam began. The eight man tournament in Rome headlined by the home crowd favorite and best fighter in the world Giorgio Petrosyan also failed to draw much attention among Romans. The Glory World Series website states that the latest event in Milan was watched by ten thousand people. Milan is one of the better markets for kickboxing and Thai boxing in Europe, a fact supported by Yokkao and Fight Code which gathered fifteen thousand people for the Petrosyan – Kyshenko fight. Still, taking a look at the stands in Milan last weekend reveals that it was more like barely five thousand people. It can't, but the owners of Glory have so much money that they are willing to risk major investments that may turn fruitful in the long run. However, it's an exhausting battle, both financially and emotionally. After all the effort and sleepless nights, it's not easy to see empty seats. Every path has its obstacles and, like with other things in life, there are situations where you need to know when to give up and let go. Donald Trump's got cash, but after two unfeasible events and postponing a third he withdrew from Affliction, the organization that decided to stand in the UFC's way. Fight Code marked 2011 with amazing events, but an attempt to expand and internal strife have led to the demise of the organization. 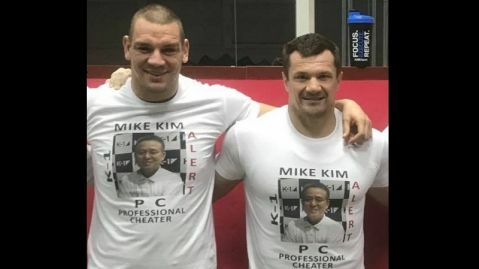 Fans don't realize how hard it is to bring crowds to kickboxing events, resulting in a classic megalomaniac attitude as seen after last year's Final Fight with Cro Cop and Ray Sefo. A portion of the public thought that eleven thousand spectators in Arena Zagreb wasn't much of a success. In the end, take a look at how many fans show up at the UFC's events and compare that with the attendance of boxing spectacles in Europe. 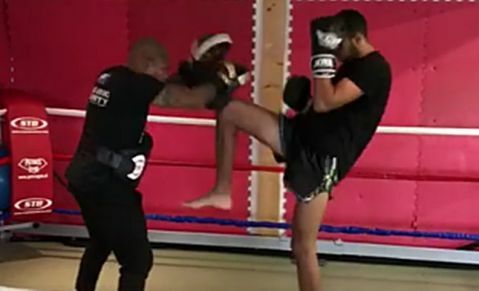 One of the things that are extremely good for the development of martial arts in Croatia is the gradual breakthrough of kickboxing and MMA to television. In France, the scene got a massive boost over twenty years ago when Canal+ became interested in fighting sports. Glory plans its expansion to the American market with the help of CBS, with a big test event set to take place in New York. In Croatia, Fight Channel and Nova TV have entered this venture and while the view of the stands was nothing to cheer about, the national TV ratings were very high. More than thirty-five per cent of people who watched TV on the evening opted for Final Fight 3. The fighters contributed in a major way and presented themselves to the TV audience in the best possible manner, giving a spectacular show and thus getting people's attention for Final Fight in Zadar. While these are promising results that will surely introduce the wider public to kickboxing and even increase the attendance of events, the scene must build itself from inside with the support of existing fans, who will later be joined by others, as was the case with MMA. Jurković and Truhan determined to win the titles, Croata irritated for not being presented as "local fighter"! Jurković gets opponent, official FFC 15 poster revealed!